Mr. Strinivasaloo Venketsamy Naidoo, born in the pastoral surroundings of the small farming town of Doornkop, near Stanger, in northern KwaZulu-Natal, was one of the grandchildren of Mr. Samnathan Naidoo who arrived in South Africa in 1890 on the frigate, the Umvoti, as a free Indian businessman, from the predominantly Telegu state of Andhra Pradesh in India. Whatever his accomplishments, SV was proudest of his family, which was his joy and inner delight. He took them around on his trips and was always there when they needed his advice. Indeed SV’s greatest legacy was to imbue his family with love for each other and for fellow humanity. His philosophy of persistence through challenging times, a strong belief in culture, integrity and education, which he actively inculcated in all his children, has seen his protégé stand proud, highly educated, yet humble and simple in the community, today. This excellent role-model ship of love, respect for others and close interaction with the family as well as the community, demonstrated by SV over the years, has resulted in his daughter’s, Mrs Vanessa Vawda, bequest of a prize to the Anatomical Society of Southern Africa in her late father’s name, serving as a wonderfully uplifting inspiration and indeed motivation to the young members of the Society, herself being a life member. 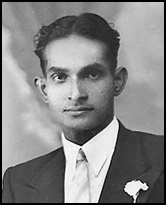 It is further envisaged that the SV Naidoo Award will not only serve as an ongoing reminder of the son of an immigrant who progressed and uplifted his family through challenging times, but also be a beacon of impetus to future generations of members to demonstrate excellence in education, innovation and humanity, in decades to come, since the inauguration of the award in 1987.